I'm thrilled and delighted to announce another Irish tour in 2013. Early October has proven to be a very nice time to tour Ireland. How about three days and nights in Westport, County Mayo, three in Clifden, County Galway, and three in Doolin, County Clare? If you'd like all the details of this exciting trip, send me an email with your address, and I'll get one off to you immediately. Have a look at my website for basic info on the tours and also look as well at my friend Johnsmith's website. http://johnsmithmusic.com/tour-ireland Following my business partner and friend Tom Pigott's sudden death in February of this year, John stepped in and honored all of Tom's commitments - none of the 2012 tours were cancelled. He is operating now as Inishfree Irish music tours. I'm available and anxious to answer any questions you may have. I love touring Ireland with my friends, and we will have the luxury coach of Paddy Downs at our service! If you think you'd like to do this, DO IT! I can only take 22 people, and I'm only doing one tour in 2013. I'd love for you to be part of it. Think it over during the holidays. If I have 22 people signed up by January 15th, the tour is on ... If I don't, I'll release the hotel rooms, or John will offfer the dates to someone else. I'm very excited that my talented activist/songwriter/comrade Evan Greer is coming to Pittsburgh to do a "That Was the Year That Was - 2012 - a musical revue" at my house. I'll also provide champagne and food at midnight. My wonderful daughter Amy was invited to participate in a show on THE LEARNING CHANNEL. They were seeking brides-to-be who are wearing heirloom or borrowed dresses instead purchasing a new one. Amy is a prime candidate for this show because the dress she'll wear on December 15th when she and Mike Meadows tie the knot was originally worn by her paternal great grandmother. Celia Levin married Abraham Seder in 1913 and the dress remained in storage until I wore it in 1977 when I married Amy's dad, Ron Berlin. The dress was very frail and in need of major repairs. The show offered to absorb all the costs of restoring the dress and customizing it to Amy's style if we would tell the story of the dress on their show. They also had a professional Hollywood buyer measure Amy and select five new designer dresses for her to consider. She could have a new designer dress, or the restored 100 year old dress. The show brought me, Amy and three bridesmaids out to Burbank for a week of filming and modeling. It was sooooooooooo much fun! Go Tammy! Go Claire! Go Elizabeth! Go Maine! Go Colorado! Go Washington! and I'm so pleased we won't have to listen to Paul Ryan, Todd AIken or Mr. Mourdoch of Ohio.any more. Now it's time for the real work. We've got to devote ourselves to resisting - resisting offshore drilling, resisting mountaintop removal, resisting the Alberta Tar Sands project, resisting hydraulic fracturing ... protecting our water, our air and our soil. We cannot allow cuts to Social Security or Medicare. We cannot allow the privatization of the Postal Service. We can't give up on universal health care. We can't give up on our teachers. We must bring the troops home now! Your dance card full yet? It is with great sadness that I report the untimely passing of working-class hero Jerry Tucker. He mentored me and countless others in organizing, strategy, history, struggle, activism, listening, surviving and winning. He loved baseball, jazz and labor songs. His passing, from pancreatic cancer on October 19th, is a devastating loss to the working class. He and I worked on so many campaigns together, starting with the AE Staley lockout in Illinois in the early 90's and most recently the campaign for single-payer healthcare. His humor, generosity, dedication, knowledge, persistence and optimism were unsurpassed in this movement. The movement sustained another loss with the passing of Russell Means on October 22nd.. Russell Means spent a lifetime as a modern American Indian warrior. He railed against broken treaties, fought for the return of stolen land and even took up arms against the federal government. Means, who died Monday from throat cancer at age 72, helped lead the 1973 uprising at Wounded Knee — a bloody confrontation that raised America’s awareness about the struggles of Indians and gave rise to a wider protest movement that lasted for the rest of the decade. AIM was founded in the late 1960s to demand that the government honor its treaties with American Indian tribes. The movement eventually faded away, Means said, as Native Americans became more self-aware and self-determined. Happy November Birthdays to Janet Feld, Sigi Nagys, Eric Schwartz, Jay Mankita, Pat Wynne, John Lilly, Alec Dubro, Rosann Barker, Amy Kurland, Dan Kenney, Kimberly Sever, James Durst, Mike Gremba, Pat LaManna, Shakeybean Cobb, Katie Hinde, Bill Pollak, Lloyd Cunningham, Mary Lane McCahill, Julie Leonardsson, Marty Rosenberg, Darlene Buhler, Sheila Tiernan, Corry Metcalfe-Haendiges, Mark Perna, Shane Bartell, John Morber, Matt Watroba, Peter GIlmore, Kim Dobson, Bob Beach, Bob TIbbs, Dennis Soper, Jack Erdie, Vicki Guzman, Patty Spadaro, Larry Long, Scott Chesnick, Susie Howell, Christine Patberg, Ron Mann, Bayard Blain, Chuck Fink, Kathleen Mumphrey Chapman. Thanksgiving is one of my favorite holidays. It's totally centered around food, family and friends... at least at my house. No one is a football maniac. In fact, our television wasn't on at all on Thanksgiving Day. The kitchen was crowded with everyone helping to get the food to the table. I am so incredibly grateful - more so every day - for the love and generosity of my friends that has lifted me from fear and sadness to gratitude and joy. I can't possibly list everyone who has done something remarkably kind, thoughtful and generous for me. Thank you for all your help and kindness to me over the past two years. I don't know what 2013 has in store for me, but you've made it possible for me to live every day fully since my cancer diagnosis. It's clear that I won't be able to return to my full work schedule for a while yet, and your support continues to be really important to me. You can use the "Donate" button at http://annefeeney.com or send a check to me at 2240 Milligan Avenue, Pittsburgh, PA 15218. I hope you're one of the 22 people who'll go to Ireland with me in 2013! The Berrymans Return! Don't Miss It! 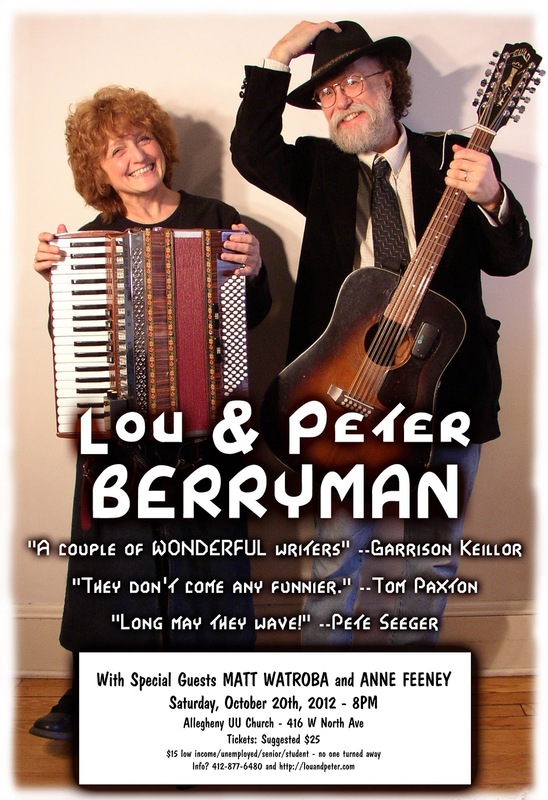 I'm so pleased to be able to present Lou and Peter Berryman again. Their shows are always so hilarious, inspiring and energizing. Don't miss this chance to hear them in Pittsburgh. This time they're traveling with our super talented pal Matt Watroba, who hosted the best folk show ever in Detroit for 22 years - "Folks Like Us" and now hosts a folk show online for Folk Alley. He's a fabulously talented musician and he and I will both do some performing that evening. Call or email Sue to make reservations and get directions. I'll sing a couple songs at this show, too - support the Thomas Merton Center! WE ARE ONE Rally - Join Us to Stand Strong for Public Education and Unions!! call Judy Hines at the number above for more information. Thomas Merton Center 40th Anniversary Party with Medea Benjamin! Medea Benjamin founded Code Pink and will be a FABULOUS speaker.... don't miss this wonderful event! I'll be there and sing a few songs, too! 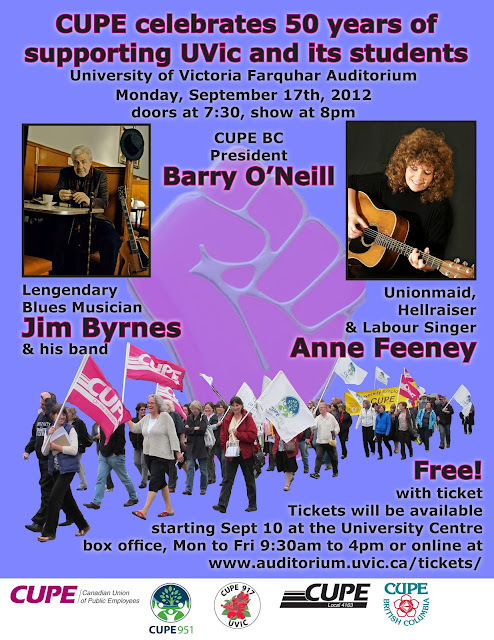 I had so much fun getting to sing for my pal Liana Kennedy's union - CUPE - (the Canadian Union of Public Employees) at the University of Victoria on my Canadian tour last month. And I spent a wonderful morning workshop with Vancouver's awesome Solidarity Notes choir! And Michael Goodman and Sharon Sjerven hosted a lovely brunch for me. Jim and Joey and Chris and Liana & Frances provided their usual fabulous hospitality, and all the presenters were great... thanks Tark, Karen, Ken & Carol. Congratulations to the Chicago Teachers! Well done! I'm in Cleveland right now with the amazing president of ATU - Larry Hanley - organizing a "Vote Transit" conference. He's a fantastic true-blue trade unionist who truly knows which side he's on. (and he knows the value of labor culture! hooray!) I'm predicting now that Republicans are NOT going to be able to vote for Romney. They'll prefer a more moderate Republican like Barack Obama. I'm hoping Obama maintains his lead in PA so that I can comfortably vote for Jill Stein without worrying that Romney would carry Pennsylvania. (Pennsylvania is the state that James Carville described as 'a large state with a big city on each end and Alabama in the middle) In 1972 Richard Nixon, then considered a right-wing Republican, supported a Guaranteed Annual Income for all Americans. Can you imagine Obama doing that? But still, I urge you all to vote. If voting didn't change anything they wouldn't have shoved so many Voter Suppression Acts through the legislatures. Do it for the same reason you would pick up a piece of trash on the street. It's not going to save the world, but it only takes a few minutes, and it's the right thing to do. It certainly doesn't discharge your civic duties ... we must all continue to raise hell and work to build a better world. Casey Horne, Oct 5; my son Daniel Feeney Berlin, Oct 6; cousins Maureen Metcalfe and Jennifer Erin McCahill also Oct 6; Wonderful pal Jan Boyd, Oct 9; cousins Jill Merrill and Bill Feeney, Oct 16, never-to-be-forgotten dear friend Tim Sullivan, Oct 18; Shelley Belusar, Oct 20; cousin Steve Merrill, Oct 20; cousin Della Belmont McCahill, Oct 21; Mason Avery Gailiunas is 4 years old!, Oct 22; cousin Carolyn Weldon Mitchell, Oct 28; singer/songwriter Annie Dinerman, Oct 29. Happy Birthday! Monique (4th from left, looking right at the camera) "Dancing Under the Stars" in Zimbabwe! I'm going to be off for most of the rest of the year to help Amy any way that I can in planning her wedding. It will be wonderful, too, to be in Pittsburgh with my husband and to work on some of the many domestic projects I have in mind. Many many thanks to the generous friends who have stepped up to help me with my expenses. My bank account must have a sensor... as soon as anything accumulates in it, I have an economic meltdown commensurate with the amount... last month I lost a tenant, had to paint the rental, replace the carpeting... just as my water heater and washer at home gave up the ghost. always something. I have a whole new round of doctor visits in October, but I'm expecting all good news! Live from the great Canadian Southwest! 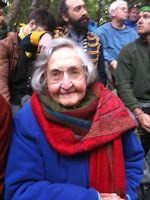 This is the September 2012 episode of Anne Feeney's Fellow Travelers' Advisory. I hope you'll leave comments from time to time... especially if you've got breaking news that you think my 8200 subscribers would enjoy. I had a great show in Seattle. Bob Barnes ran sound for me with a broken arm incurred while wresting a big horn sheep on a hike in, I think, California somewhere. I saw a photo of the sheep - big fella. Looks like I stumbled right into the middle of a people's uprising here at the University of Victoria on beautiful Vancouver Island! The provincial government engaged the services of some very expensive bean counters, and now they have plans to corporatize the University's employment practices, becoming lean and very mean and potentially contracting out hundreds of jobs. The remaining workers will be offered a much lousier contract. At this writing, two of the campus unions have been without a contract for over two years. A MAJOR fightback is in process and I'm thrilled to be in the thick of it. I hope I get to see lots of my BC friends on this tour, and I'm so looking forward to my Bellingham show too. Congratulations Sara and David! I just learned that Julie's daughter Sara is expecting a baby in March! How exciting! Levi will have a little brother or sister who's only 19 months younger ... Sara and David will be VERY busy. And this little cutie is Willow - newly arrived daughter to my pal Joey Onley and his partner Leah. I hope to get to visit her in Barkerville, BC on this trip! 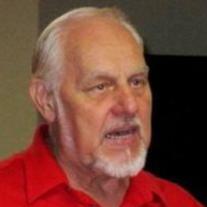 I just learned that my friend David Kurtzman of Melrose, FL died on June 2nd. I believe he was a very young 77. I'll miss him. 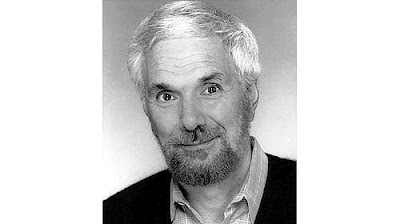 He graduated from Harvard with a Philosophy degree and briefly taught at the University of Pittsburgh, where I met him. I'm so excited that Julie's son Jonas is coming to the US for a visit this fall! My cousin Mardy Weber McCahill's birthday is September 21st; Kay McCahill Mumphrey is September 25th, and Mary O'Connor Grefenstette's grandson Charlie Warren is six years old today! Happy birthday one and all! If you live in PA, go to http://signon.org/sign/statewide-just-say-no?source=fb.ads.ck.so.vid.pa.sw.qlm2.b.n.o1 and sign the petition to stop enforcement of Pennsylvania's ridiculous new voter ID law. Sounds like a tentative agreement has been reached... I hope it's a good one! I think people were fired up enough to hold out for some real improvements to our educational system. Show your support for our embattled postal workers! National Association of Letter Carriers, Supply Dept. 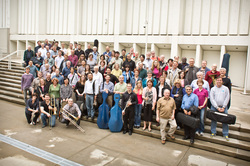 ATLANTA SYMPHONY ORCHESTRA LOCKED OUT! Stay strong sisters and brothers! When they go after you for cuts and concessions, they are admitting their own incompetence - why can't they raise the money to fund a first-rate orchestra? The richest 10% have never been better off. The money is out there. If they don't know how to go get it, the board should fire the management and replace them with people who can do the job. YOU are the orchestra! THEY are the parasites who make a more-than-ample salary from YOUR talent. DOG DAYS OF AUGUST - HELP! or send a Paypal contribution by hitting the DONATE button on the front of my webpage (http://annefeeney.com) - If you're reading this at http://fellow-travelers-advisory.blogspot.com there's a DONATE button in the right hand column. I'm doing my best to make sure this is my LAST appeal to you on my own behalf - of course I'll keep hounding you to donate to strikers, locked-out workers and other worthy causes, but a response from you now will (I fondly hope) keep me from whining about myself for at least two years. If you can't help me, I understand completely. These are tough times for so many. Thanks so much for all your generosity in the past. I can never repay you all, except by holding you always in my heart. The Scandinavian Tour Winds Down! The Scandinavian tour has been fabulous. It started with my dear and talented friend Jan Hammarlund at the Joe Hill House in Gavle, Sweden. The IWW there have found some previously unrecorded (we think) songs of Joe Hill's. Jan and I recorded one called "What We Want," during our visit there. It was lots of fun. 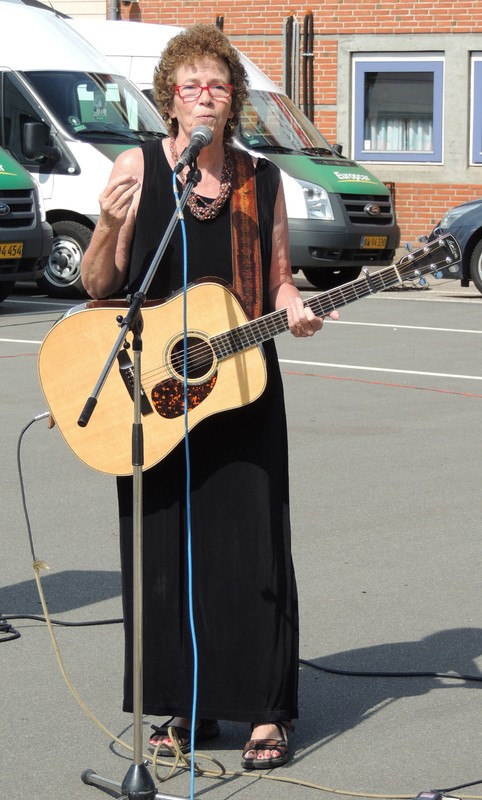 On the 16th of August I did a Woodly Guthrie Tribute Show in Malmo, with Matilda Magnusson and her red-hot bluegrasss band, Kistan and Spikan, and my tourmate for the rest of the tour, Arne Wurgler. I was flabbergasted when the following Sunday, this amazing review ran in Sweden's largest newspaper - Svenska Dagbladet - written by their principal cultural reviewer. I Malmö firas Woody Guthries 100-årsdag med fem veckors fördröjning. Hyllningskonserten på Tangopalatset infaller istället på Elvis Presleys dödsdag. Den inleds med öppen scen som senare övergår i det officiella programmet, där Guthrie firas med fyra framträdanden. Malmöduon Spiken i kistan blandar sina egna, mjukt inkännande ögonblicksbilder ur ett pågående liv med personliga tolkningar av Guthrie. Den sällan hörda The jolly banker ger plats för en sorgset nertonad Vigilante man, en låt som rönt skiftande öden från Nazareths tunga rock till Ry Cooders släpiga deltablues. 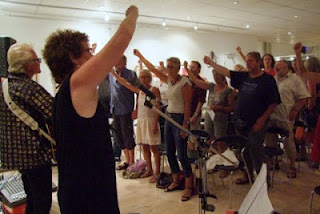 Tempot dras upp av vissångerskan Matilda Magnusson kompad av den fina bluegrassgruppen Curl Alley string band (namnet efter Krusegränd i Malmö där gruppen hade en replokal). En Guthrie-sång (Vigilante man i högt bluegrasstempo med Pugh Rogefeldts svenska text) men också försvenskningar av John Hartman, Dolly Parton och Johnny Cash. Kvällens höjdpunkt är Anne Feeney. Hon följer i Joe Hills fotspår som agiterande sångerska i den syndikalistiska organisationen IWW (Industrial Workers of the World), och hon gör politiken konkret. Hon berättar om demonstrationer som lett till fängelse och sjunger sitt paradnummer Have you been to jail for justice?Sedan blir det politisk väckelsestämning. Trots allt bidrar ABF och Vänsterpartiet till visföreningen Svenssonsvenssons arrangemang, och danske proggveteranen Kurt Würgler leder allsång i Bandiera rossa men hinner också med en dansk version av This land is your land med en av de glömda verserna, där den privata äganderätten attackeras, elegant infogad. Men politiken blir abstrakt. Kurt Würgler sjunger att det ska ske ”nu”. Publiken jublar, men jag undrar: Vad, hur och varför? Anne Feeney är en suverän historieberättare och låtskrivare, men också en fin uttolkare av traditionens klassiker. Hennes Guthrie-tolkningar är kongeniala, ofta med en inbjudan till allsång. Hon klarar balansen mellan traditionsförmedling och aktivism och har också konkreta mål: facklig kamp, allmän sjukvårdsförsäkring, rättvis skattepolitik. Kurt Würglers kampromantik är abstrakt. Han säger inte ens ett ord om den danska invandringspolitiken. also has practical goals: union struggle, public health insurance, fair tax politics. Arne and I traveled to Copenhagen that night after the show, with Julie at the wheel and Gerd navigating. We went on to do 6 more shows in Denmark. Arne is a real pro, and audiences loved him. He we are at a picket line for restaurant workers, member of local 3f - the largest service employees union in Denmark. They've been working without a contract for a while, and nothing but concessions on the table. Arne and I finished our tour at the magnificent Aroma Cafe in Svendborg, Denmark. There are still 2 dates left on my Scandinavian tour.... Falun and Stockholm. Celebrating Woody - Anne Feeney with Jan Hammarlund! If you're in Sweden, we'd love to see you there! My cousins Christina Mumphrey and Mike Schafer were anxiously awaiting the arrival of their daughter Beatrice, when, on August 19th, Charlie took them completely by surprise! The sonogram doc had identified their 'daughter' in the womb - and he's right - 98% of the time. Just not this time! Welcome, Charlie! Happy 1st birthday on August 20 to little Levi - Julie's little grandson! Levi modeling his Anne Feeney tour schwag! 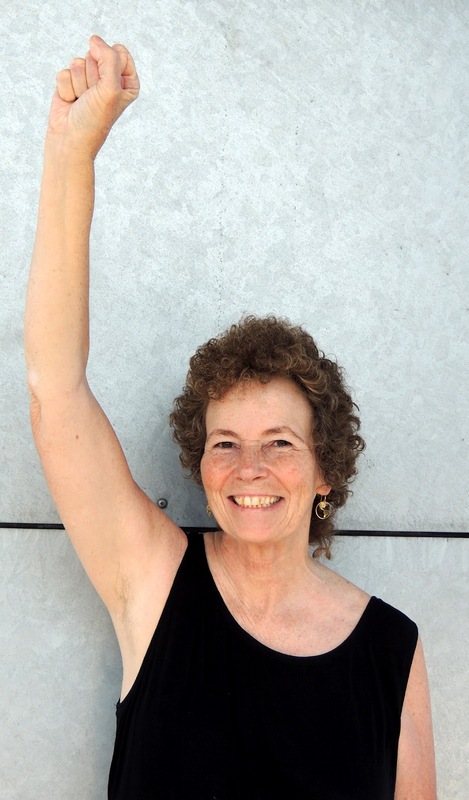 My wonderful friend Joanie Kiefer died on July 5th. It was a real shock. She died of an asthma attack. She called 911 but the paramedics could not revive her when they arrived. She loved music, and the outdoors. She and her beautiful daughter were regulars at my Pittsburgh shows. Please keep Jon Fromer, Karen Brandow, Phil Keyes and Jerry Tucker in your thoughts, meditations and/or prayers. Plans continue for Amy and Mike's wedding in Texas on December 15th. Bridesmaid Ashley Winston will be hosting a bridal shower for Amy at my house over Thanksgiving weekend. I can't wait! And Julie and I celebrated our tenth wedding anniversary on August 10th. He made this cake for us. mmmmm. Thanks for all your love and support. I hope you can dig into your wallets once again for me. I think I should specifically exclude some folks who have already done too much - really! ... Judy Ancel, Amy Newell, Shirley Shultz, Shelley Kessler,Mary Wright, Kathy McElroy and Dave Newby, Jerry Tucker, Nancy Reese, Jim Gorman and Joey Hartman, Brooke Bell and Amy Carol Webb, Bill Feeney, Dave & Katie Elsila, Mike Damico, Rosemary Trump,Joan Goswell, Al Cholger and Maureen Sheehan, Jim Ferlo, Briget and Doug Shields, Jan Hammarlund, Michael Wright, Cecil Roberts, Chris Chandler, Lane Poncy, Lee Graham, Bob & Irene McTiernan, Jeanne Clark, Elise Bryant,Nina Fendel, Maryellen Hayden, United Steel Workers, Bruce Boyens, Denise Chlysta Glenn,Madalyn Patterson and Rick Bliss, Lloyd Cunningham, Maureen Metcalfe, Hilary Chiz, Kay and Tony Mumphrey,Amy Niehouse, Danny Donnelly, Rosanna Lane, Bill Deegan, Larry Hanley, Jan Boyd and Bill Ericksen, oooh, I shouldn't have started this list ... If you think your name should be here, I'm absolutely sure you're right. I can never repay your kindness and generosity. I don't know what I would have done without you. Thank you to all my dear dear friends. Welcome to the July Fellow Travelers' Advisory! On June 27th I flew from Pittsburgh to San Francisco. I was so full of energy and excited. The three hour flight delay didn't dim my enthusiasm. When I arrived at SFO 3 hours late and my luggage wasn't there, I was little peevish. By the time the luggage arrived, an hour and a half later (1:30 am), I was able to trudge over to the car rental counter and pick up the car. For the past month I'd been mailing packages to my pal Amy Newell in Watsonville - camping gear, a 40 x 44" box with a cot and the signs we made on Earth Day with the chorus of "This Land is Your Land" letters on it, lots of CDs, DVDs, music boxes, IWW schwag, and 100 tee shirts and size 24-month baby onesies. Amy assured me that the three of us weren't going to fit in any car with all this gear, but the van upgrade was an extra $375... bringing the auto rental to $2000+. Then I got to drive 90 minutes to Watsonville through a construction labyrinth that felt like a crazy video game. Even at 1:30AM I had a great visit with my friend Amy Newell. The next day we devoted to whale watching - breathtaking! Lots of humpbacks and dolphins. To finish the day we folded, sized and bagged 130 tee shirts. What a pal. All our shows were wonderful. Terrific folks, no audience disappointingly small, the venues lovely, hosts and producers all outstanding. Taking a trio on the road for three weeks is pretty risky financially. I knew if I sold all the tees that we'd be okay, but as it turns out, I still have plenty (too many) tour shirts left, so I'm going to have a big tour schwag sale. Surely y'all know a baby who'd love to be soiling this oh-so-soft onesie! and s/he can show off her sophisticated musical taste at the same time! I still have a dozen of these adorable onesies, all size 24 mos. I sold them on tour for $20 - You can get one now for $15 including shipping! Send a check to Anne Feeney, 2240 Milligan Ave, Pittsburgh, PA 15218. or you can use paypal to unionmaid@annefeeney.com. support the tour and also have a very esoteric folksy keepsake! I have 30 Medium, 48 large, 18 XL and 2 XL shirts. And especially for all my women pals I've got the Fallopians 4:13 shirt in hot pink with black lettering. The shirts were selling for $20, but I'll sell them now at 2 for $20 (one for $15) and I'll throw in the postage! The tour looked like it might be grounded. I woke up in my tent at 5:30AM on July 15th too weak to get off my cot, but with searing pain in my back and intense nausea. By 7AM I figured out I had passed a kidney stone. By 10AM I was feeling a little better, so I cleaned up and the three of us rode over to the Hoarse Chorale Stage at Oregon Country Fair and turned in our last set of the festival to an enthusiastic crowd. I retired to my cot afterward and Mark and Adam got to enjoy the last night of the Fair. On Monday morning I wasn't feeling as improved as I had hoped I would, and we made tracks to the home of my dear friends, Madalyn and Bliss. Our original plan was to do laundry, nap, and drive to Ron Kaminkow's Hobos' and Railroaders' Camp in Black Butte to spend the night, something we were all looking forward to. Once I got to Madalyn's and laid down for an hour, I got up to go to the bathroom and suddenly I was so weak I couldn't stand up, or even crawl. Over the next few hours I laid on Madalyn's bathroom floor moving in and out of consciousness. Somehow I summoned the strength to get to the top of the stairs and get Madalyn's attention. She rushed to help me, I ended up in an ambulance and was admitted straight to the ICU. After 4 liters of IV fluids and medication to raise my blood pressure I felt a little better and asked the nurse if we could go for a little walk. As we're walking, she looks at my blood pressure on the monitor (see above) and she says, "Can we go back to your room now? I've never seen anyone with blood pressure like that standing up." (The nurses there were amazing... and they had been working without a contract since June 30). It became apparent we weren't going to be sleeping in Black Butte that night. I called Ron and told him with great regret that we wouldn't be in Black Butte on the 16th or Reno on the 17th. The Reno show was probably going to be our most successful event -the IWW folks there are fabulous and we even had a film crew lined up to do a video. Even though there was no way to do Reno, I had my heart set on making it to San Francisco for Labor Fest on the 18th - the last gig of the tour. And we did it. We drove 8 1/2 hours (528 miles) and then did our show. EARTH DAY 2012 VIDEO OF "THIS LAND IS YOUR LAND"
The final Earth Day 2012 video is edited and up on Youtube. It's very sweet. Thanks to Hali Hammer for dreaming up this project, making it happen, and following it through! My wonderful cousin Erin Brown's wedding to Kevin Stock in Brooklyn two weeks ago! I went from San Francisco straight to the wedding, and had a wonderful weekend with all my cousins. Please hold my cousin Terry Riley McCahill and my friends Karen Brandow and Jerry Tucker in your hearts and thoughts. Terry and Karen have both had major surgery, and Jerry has just completed a grueling radiation regimen. I know your inboxes are full to bursting, but for me, Friday wouldn't be Friday without Saul Schniderman's "Friday Labor Folklore." Saul (aka Con Carbon) won the Joe Hill award this year (and deservedly so!). He's a real labor history buff - It was in one of Saul's Friday posts I got to hear the voice of Mother Jones. Sometimes moving, sometimes hilarious, sometimes thought-provoking - but always short and to the point! I promised I'd get this out by midnight so I can send you another newsletter from Sweden in August. Happy Summer. This issue marks the beginning of my eighth year sending out the Fellow Travelers' Advisory. I've sent it out in sickness and in health, richer and poorer (this time poorer!) I hope you enjoy the newsletter. Drop me a line and tell me what you'd like to see here. You can still donate to my recovery fund. I hate to come to you again, but I need to. August is the beginning of my benefits year with my health insurance. The next $2500 in health care expenses come out of my pocket. It's been two years since I've come to you for financial help. Honestly, I was pretty sure I'd be dead by now. It seemed inevitable. Now that I'm a medical "anomaly," "outlier," - I'm hoping to be able to be a respectable mother of the bride and to meet all my other obligations. So far, my last two tours ended with hospital stays. I'm going to keep trying, but I still need your help. There aren't enough words to thank you for all your past support, and if you can't help this time, I totally understand. Once again, please don't send me more than $50 ... I don't want to become anyone's dependent, I just need a little help. Ovanstående akter börjar spela nere i källaren kl 19. Dessförinnan råder fri scen uppe i foajén från kl 16-18:30. I 100-året for Woody Guthries fødsel inviterer Budskab fra græsrødderne til en række koncerter, hvor vi vil tage arven efter Woody Guthrie op. I en tid, hvor 30'ernes krise med arbejdsløshed, depression, krig og truende fascisme føles nærværende i det meste af Europa og USA er det nærliggende at videreføre det sociale engagement og udnytte den organiserende kraft. Arne Würgler er i Danmark eksponent for politiske sange gennem de sidste 40 år og Anne Feeney er det amerikanske modstykke. Hun er fra i minebyen Pittsburg med stolte faglige traditioner og har irske aner. Det har sat sig spor i hendes 40-årige karriere med protestsang ved faglige kampe, freds- og kvindekamp, hun har netop har kæmpet sig gennem en lungecancer og optræder nu for føste gang i Skandinavien igen. Celebrating Woody Guthrie's 100th Birthday! Price: suggested $20This is *not* at the Montrose St location. Ken is living in James Bay. Email him at why2342@hotmail.com for directions and reservations. Vancouver and District Labour Council Presents Anne Feeney in Concert! Price: suggested $20contact Kdean@telus.net or regbrennan@hotmail.com for reservations and directions. Price: $15 suggested donationkeithfredrikson@yahoo.com is the contact.